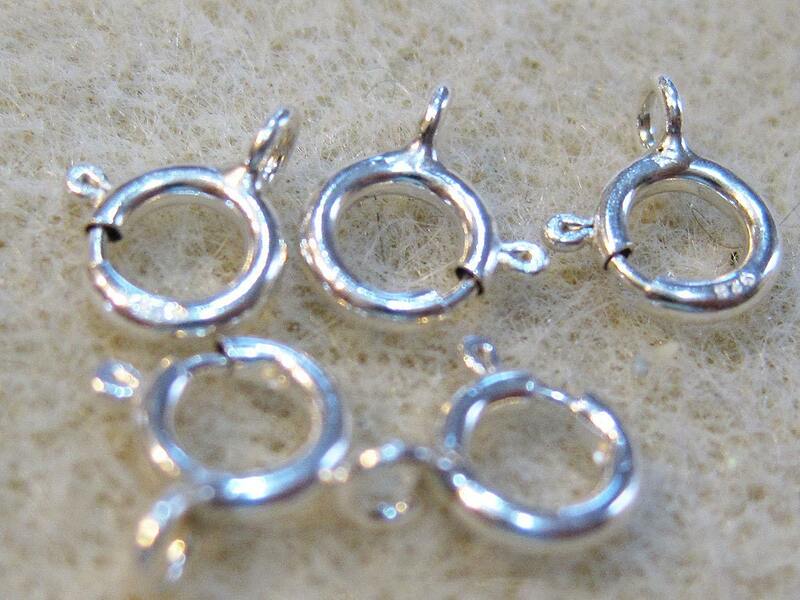 10 sterling silver (.925) spring ring clasps measuring 6mm. Spring rings are used with a jump ring or a chain tab to make a complete clasp. Pull trigger to open. Release and the clasp automatically springs closed. These have a closed (soldered) loop. fast shipping, great seller...thanks so much! So shiny.. Love them. I definitely recommend this seller.